Lawrence F. Molt, associate professor in Auburn University's Department of Communication Disorders, was recently appointed to the World Health Organization (WHO) Rehabilitation Competency Framework Working Group, part of the WHO Rehabilitation 2030 Initiative. “I feel very honored to be selected for the WHO working group. WHO projects a global shortfall of 18 million health workers by 2030, with the greatest impact on low and middle income countries, and the situation most acute in the rehabilitation area. This is a tremendous opportunity to work with allied professionals from around the globe with a view towards interdisciplinary cooperation and the ideals of providing the best rehabilitation practices possible across a wide diversity of challenging situations,” Molt said. The WHO asked the International Associations for eight different disciplines involved in Rehabilitative Medicine to suggest members for the RCF Working group. Molt was nominated by the American Speech-Language-Hearing Association and selected by the International Association of Logopedics and Phoniatrics along with Dr. Pamela Enderby, professor emeritus at Sheffield University in England as the two representatives for speech-language pathology. They are part of a group of 20 individuals from eight disciplines, 13 different countries, with all six WHO regions represented, working on developing competencies for the provision of rehabilitative medicine services in emerging nations, as well as within the framework of health systems worldwide. The WHO is the directing and coordinating authority on international health within the United Nations system and is responsible for preparedness, surveillance, and response for communicable and noncommunicable diseases as well as promoting efficient and effective health systems to ensure good health throughout the life-course. The research competency framework working group is part of the WHO’s Rehabilitation 2030 Initiative, to establish and provide rehabilitative services worldwide as a vital part of nationwide health systems. The working group consists of two physicians, two rehab nurses, two speech-language pathologists, two audiologists, three physical therapists, four occupational therapists, one prosthetist/orthotist and three psychologists. Molt has certification and licensure in both speech-language pathology and audiology (less than half of one percent of practitioners in the United States carry dual certification) and has been named a Fellow of both the American Speech-Language-Hearing Association and the American Academy of Audiology. 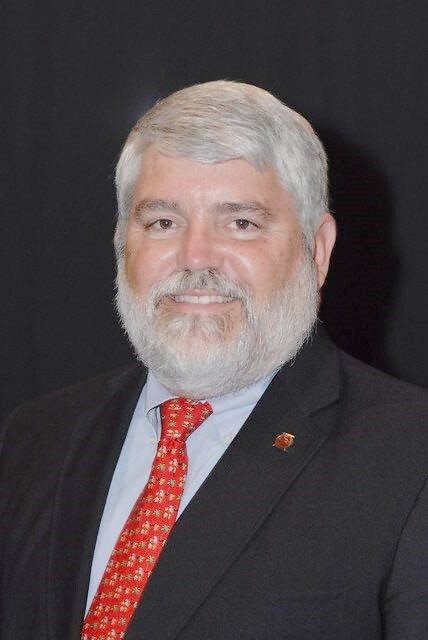 He is a past president of the International Fluency Association, the National Council of State Boards of Examiners, and the Alabama Speech and Hearing Association, and currently serves on the Board of Directors for the National Stuttering Association and Special Olympics Alabama, as well as Vice-Chair of the Alabama Board of Examiners for Speech Pathology and Audiology. Molt joined the Auburn's Department of Communications Disorders as a faculty member in 1995 and was designated as an “Engaged Scholar” by the College of Liberal Arts in 2015. Lawrence F. Molt, associate professor in Auburn University's Department of Communication Disorders, was recently appointed to the World Health Organization (WHO) Rehabilitation Competency Framework Working Group. Auburn University is a nationally ranked land grant institution recognized for its commitment to world-class scholarship, interdisciplinary research with an elite, top-tier Carnegie R1 classification and an undergraduate education experience second to none. Auburn is home to more than 30,000 students, and its faculty and research partners collaborate to develop and deliver meaningful scholarship, science and technology-based advancements that meet pressing regional, national and global needs. Auburn's commitment to active student engagement, professional success and public/private partnership drives a growing reputation for outreach and extension that delivers broad economic, health and societal impact. Auburn's mission to educate, discover and collaborate drives its expanding impact on the world.